Finnish smartphone manufacturer Nokia recently unveiled the latest flagship handset for its ever expanding Lumia range of Windows Phone 8 hardware, and now Vodafone UK has revealed the pricing and order details for the 32GB Nokia Lumia 925. We have already given you some pricing details for the Nokia Lumia 925 and that Vodafone will have exclusive access to the 32GB version of the smartphone, and the carrier has now started taking pre-orders for the device along with revealing pricing. The handset is available for free on contracts starting at Â£34 per month that provides customers with unlimited talk minutes, unlimited text messages, and 2GB of data downloads. If this is too much to pay out each month the lowest priced plan comes in at Â£21 per month. This will give you unlimited text messages, 300 minutes of talk time, and only 250MB of data and you will also have to make a Â£199 down payment for the Nokia Lumia 925. The handset is down for delivery on the 12th of June so not too long to wait, and the full list of monthly plans can be found here. 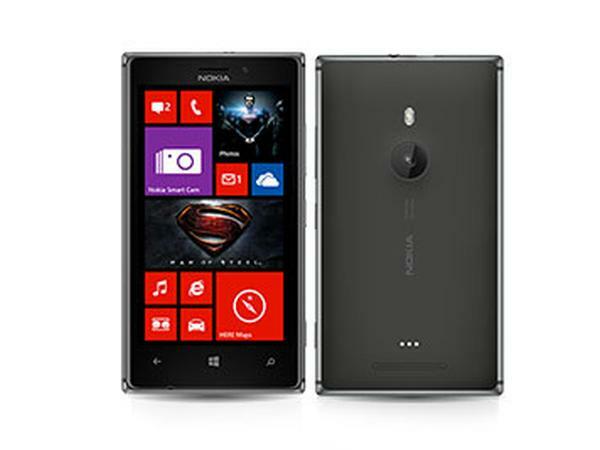 To recap the Lumia 925 features a 4.5-inch HD AMOLED display with a resolution of 1280 x 768 that is powered by a dual core Snapdragon processor clocked at 1.5GHz with 1GB of RAM. Nokia has fitted an 8.7-megapixel PureView camera on the back and the Vodafone version has 32GB of internal storage. Are you going to get the Nokia Lumia 925? No way JosÃ© SG Note 3 for me. I have purchase Nokia Lumia 520 from Reliance Digital, Gurgaon. Within 15 days I got problems with its keys. I visited to Nokia care, Ist they refused to accept under warranty but when I asked the same in written, they accept but they kept more than 04 working days. Every time I asked & they delayed, now they are asking for more 10 days. I don’t know what to do now, whether I should go to consumer court or wait for 10days. I have observed that parts of the phone is extremely poor quality. Not only this, the service is also bad. Most of the time they refused to accept under warranty. As per my experience, never go for Nokia. In this budget, you will get good phone from other manufacturer. Why the fuq no 32GB model in the United States??? were you guys payed by Apple ??? ?